Mixed feelings on this one. A very mediocre affair with perhaps 4 great songs and the rest to be discarded in the waste paper bin of banal popular mainstream radio blechh. 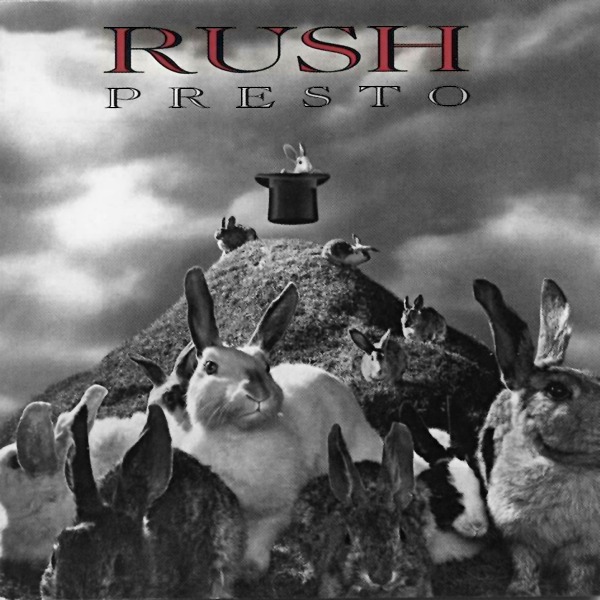 There is very little to recommend as far as progressive - in fact it is further from progressive than most other Rush albums. The sound quality of crashing clanging guitars is up to a high standard but the lyrical content and song structure is very forgettable. In fact it is difficult to find any particular highlights but of note, I guess, is Show Don't Tell, Chain Lightning, War Pass and Superconductor. As for the rest... scrape it off into the paper bag and sell to the highest bidder. I love Rush, the classics are indispensable - 2112, Farewell to Kings, Moving Pictures and even more recent works such as Counterparts are brilliant heavy prog works. However, Presto is as exciting as pulling a rabbit out of a hat. Some of it works and most of it does not - It is all so safe and superficial and devoid of that classic quality that is... Rush.